Introducing our first Artist in Residence for the HOLD FAST 2018 season: Alana Bartol! Alana will be visiting Argentia and Fogo Island as she studies the petroleum industries in Newfoundland for her Art Crawl performance. Then, she’ll be hosting a water-witching workshop in Port Union on the 18th. She’ll be back here at Eastern Edge on July 20th, where you can drop by and see her work on her project. In the meantime, if you see her around Newfoundland, be sure to say hi! Born in Halifax, Canada, Alana Bartol comes from a long line of water witches. Through performative, research-based, and community embedded practices, her site-responsive works propose walking and divination as ways of understanding across places, species, and bodies. Bartol’s work has been screened and presented across Canada in Banff, Toronto, Winnipeg, Vancouver, Calgary, Windsor, and Montreal, as well as in Romania, Germany, Mexico, and the United States. She is one of six artists selected for the Canadian Forces Artist Residency program (2018-19). She currently lives in Calgary and teaches at Alberta College of Art and Design. What will Alana be studying here in Newfoundland? Alana has been documenting her stay and discoveries here in Newfoundland on her Instagram, be sure to check it out! What kind of workshop will Alana be hosting? Drawing on her family’s water-witching history and traditions of divining, Alana Bartol explores walking and dowsing as creative methods in her art practice. While there is no scientific evidence that dowsing is accurate, a fascination with this practice still persists. Join her in this workshop as she leads an exploration of the use and tools of water-witching! Tools will be provided, and a portion of the workshop will involve walking outside. All are welcome, even the skeptics! Children under 12 must be accompanied by an adult. What will Alana’s Art Crawl project be? Over the past year, Alana Bartol has been developing artwork that examines the role of care and caretaking in the oil and gas industry. The Orphan Well Adoption Agency (OWAA) is a fictional non-profit organization dedicated to finding caretakers for orphan wells. Dowsing or ‘water-witching’ is a form of divination used to locate groundwater, sites, and information. It has also been used for prospecting oil, mineral deposits and ores. 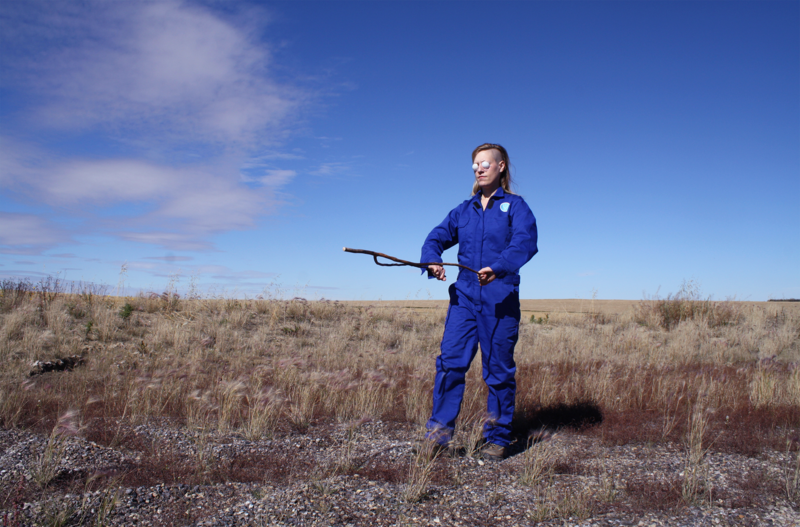 The OWAA re-imagines dowsing as a technology for remediation, one that might shift our relationship to natural resources, while examining remediation, care, and the reliability of information. Orphan Well Adoption Agency: Offshore Edition, will continue to explore complex relationships to petroleum industries in Canada. Through pendulum dowsing, audiences will be invited to ask questions about the future of oil and gas in Newfoundland and may correspond with orphan wells in the ocean.